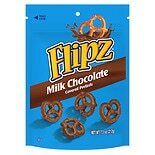 Shop Flipz Pretzels Milk Chocolate (7.5 oz. )7.5 oz. Shop Nice! 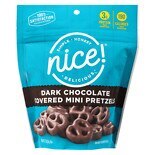 Dark Chocolate Covered Mini Pretzels (2.5 oz. )2.5 oz. 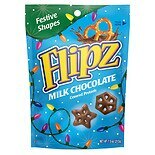 Shop Flipz Milk Chocolate Covered Pretzels (8 oz. )8 oz. Shop Nice! 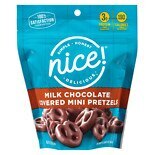 Milk Chocolate Covered Mini Pretzels (2.5 oz. )2.5 oz. 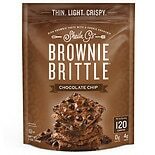 Shop Brownie Brittle Snacks Chocolate Chip (5 oz. )5 oz.